It is our belief that all artists who contribute to the Christian community deserve recognition. We involve all persons in the awards process. It takes a collective community to embrace artists. This includes the supporter/buyer, producer/engineer, promoter, record company, management, Pastors/churches, etc. All invested persons are able to submit nominations. Once the nominations are received, each nominee will be screened by the Academy for the eligible category criteria and artist qualifications. The Academy is a closed group of renowned experts in various fields and respected amongst their peers. The purpose of the academy is to ensure specific category qualifications and imagery of artist is positively portrayed. The purpose of the screenings is not to make artistic or technical judgments about the recordings or submissions, but rather to make sure that each entry is eligible and placed in its proper category. Once the academy finalizes each category, the category finalists are formally announced to the public. The public receives an opportunity to vote via online voting for their favorite and Kingdom inspired artist or group. Each artist bio and body of work is displayed for the public. Voting is limited to one submission per person. The Kingdom Image Awards accountant verifies all voting and ballot submission. 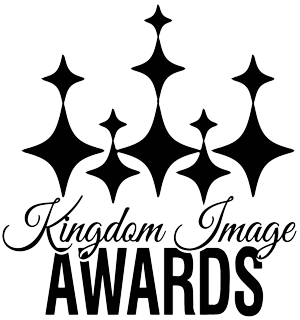 Results of each award recipient are not known until the Kingdom Image Awards celebration.